I'm looking for a Tonneau for my 12 tourer. Are these available ready made or is there an old one around for a template I could buy. Assuming that the supply of hoods and tonneau covers is the same for both P1s and P2s, I doubt you will find either off the shelf. I hunted around for a hood for my P1 and couldn’t find anyone who could supply to a pattern, as they could for an old MG. I suspect the same will be true of tonneau covers; the penalty for having a rare and unfamiliar model of car! Basically, you will need to find a decent hood trimmer and they will make a bespoke item to fit your car. The down side is that most decent trimmers will be expensive and probably have a lengthy lead time before work can commence. At least that was my experience for this part of the world and I am in East Anglia, as you are. There may be better suppliers in the Midlands or other parts of the country that other members can recommend but I didn’t find anyone local to Colchester that I could afford- or wait for. Having had a quote for almost £3k and another trimmer who wanted leave the car outside while he made the roof, I gave up looking. In the end I made my own hood and side-screens, using a domestic sewing machine. To mitigate the risk of an expensive mess I used Everflex, which is much cheaper and easier to work with. It was also very similar to the hood my car had fitted in 50s, so not as ‘unoriginal’ as it sounds and the same fabric that Morgan uses. It was a tricky job and not one to be taken on by the feint hearted! 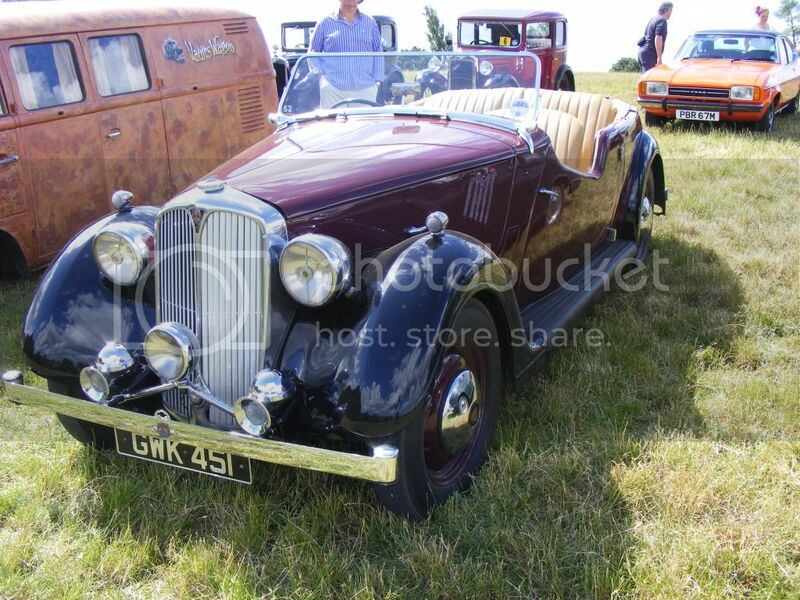 However, making the tonneau was not as difficult and could certainly be undertaken by anyone with experience of making chair covers etc and who has, preferably, an industrial sewing machine. The material and press studs etc shouldn’t cost more than £100 so well worth having a go. Making the tonneau was a matter of laying the fabric over the car in one piece from back to front, identifying where the stud fixings need to be and cuttting small holes so it fits onto them tightly across the car. These are the same fixings as the roof. On my P1 there is also a metal bar that fixes from side to side behind the front seats to support the tonneau if it is folded back while driving. This needs to be in place. The fabric needs to be placed so that there is ample spare around all edges to fold back and sew, giving strength to the fixing after the shape has been determined. This will give you a basic cover that should pull tight over the steering wheel and onto studs that will be required across the top of the dashboard - more on that later. Alternatively, you could make a box shaped over the wheel but that will be a fiddle and wasn’t needed on my car. The next bit is to make the flaps that fit into the door cut outs, as the window ones do. These are probably almost as much work as the rest of the cover since they are double sided and need to fit well to keep the rain out. Mine have some padding in to help maintain the shape without too much weight. These are then sewn onto the cover to complete it. The stud fixings are properly made where the original holes were made, once the fabric is over sewn. All done, simples! Now back to the over dashboard fixings. Knowing that I would either use the tonneau folded behind the seats or when parked, I didn’t make it with a zip for driver access only. As such I was able to avoid putting fixings over the dashboard by making the cover with a strap inside the leading edge that fixes tightly down to hooks beneath the running boards, which is ideal and saves a lot of drilling in precious parts! A matter of choice. Regarding the door flaps, I managed to sew mine on the wrong sides of the cover. With a domestic machine these are the worst bits to sew as you either have the flap or the whole cover to pass through the centre of the machine! As such, I’ve yet to swap them around but, like so many things with restoring and running a classic car, it’s a work in progress. I hope that helps a bit. Feel free to contact me directly if you want more information or would like to look at my car.